Indie pop duo Mating Ritual, have released the music video for their single entitled “U.N.I.”. The track features effortlessly smooth, laid-back vocals atop classic keyboard sounds and groovy electric guitar. With silky retro soundscapes, it’s only fitting that the visuals would portray an old school 70's vibe. The video opens with an old-fashioned sound system. Next, you see the duo in a 70s style home, one playing keyboard and the other on guitar as girls in swimsuits lie on the floor. From the vintage turquoise Cadillac to the retro wall art, the video oozes with 70's flair, transporting the viewer straight back to that era. Bursting with shades of aqua and orange, the video pops with its unique, distinctive design. Based in Los Angeles, California, Mating Ritual, previously known as Pacific Air, was founded in 2014 by Ryan Marshall Lawhon when his brother Taylor decided to go back to school. 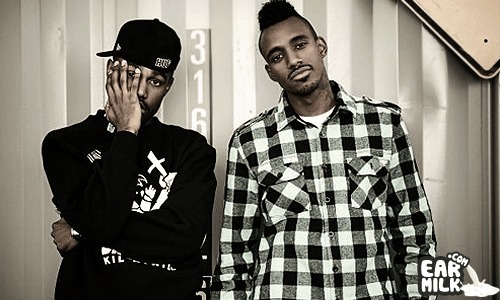 Initially, a solo project, Ryan became increasingly more collaborative leading up to the debut album in 2017, How You Gonna Stop It?, where the brothers realized they missed creating music as a duo. They immediately began working on Mating Ritual’s sophomore album, the post-punk leaning, Light Myself on Fire, with both albums having since garnered over 25 million streams collectively. The brothers jumped ahead of schedule on their five albums in five years plan, finishing a third LP, Hot Content only months after their previous album release. Mating Ritual are no strangers to achievement. Their single “October Lover” released in the Fall of 2018 was featured across Spotify on numerous playlists including "New Music Friday" and "Indie Pop". Their other single, “Falling Back” was placed on Apple Music’s "Breaking Alternative" playlist and Spotify’s "Indie Pop" playlist. "Imagine winter is over," says Ryan. "Imagine you’re in a pool with a boozy cocktail when "U.N.I." comes on shuffle. The water is cool and the vibe is hot, just how you like your content. You are forced to pause the song halfway through cuz the Postmates driver won’t walk around back. You restart the song. This happens at least three more times. Our Spotify numbers skyrocket. I invest in Postmates. And buy a pool. Just imagine." Raeko & Mating Ritual team up on "Everybody Knows"